This year marks 12 years of marriage for Ted and me. In the last dozen years, we’ve done a lot. We’ve traveled to the bustling cities of Paris, San Francisco, and Washington, D.C. We’ve walked hand-in-hand on the European-like streets of Vail. Our travels have taken us to Ted’s old college haunts and my childhood neighborhoods. Most recently, we’ve worked on a marriage book. Together, we brainstormed. Then I wrote. Ted edited. And I rewrote. The result? Team Us: Marriage Together. But, in all that time, do you know what we’ve never done? Attend a marriage retreat. That is until this year. When Ted received an email a few months ago from our church about a marriage retreat at the WinShape Retreat Center in Rome, Georgia – which for us is only 90 minutes down the road – it immediately caught our attention. We found someone to watch our four children for four days and signed up. And we’re so glad we did. 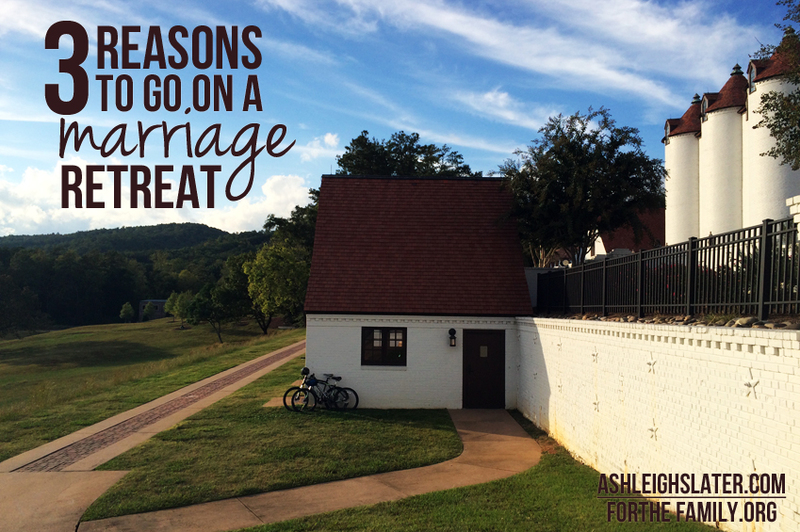 We came home with a long list of reasons why a marriage retreat is helpful. But for brevity’s sake, here are a mere three reasons you and your spouse should consider attending one. Shared experiences help bond a couple together. Whether it’s birthing a baby, going on a family outing, or celebrating a holiday together, they provide opportunities for us to make memories with each other. Hand-in-hand and side-by-side. 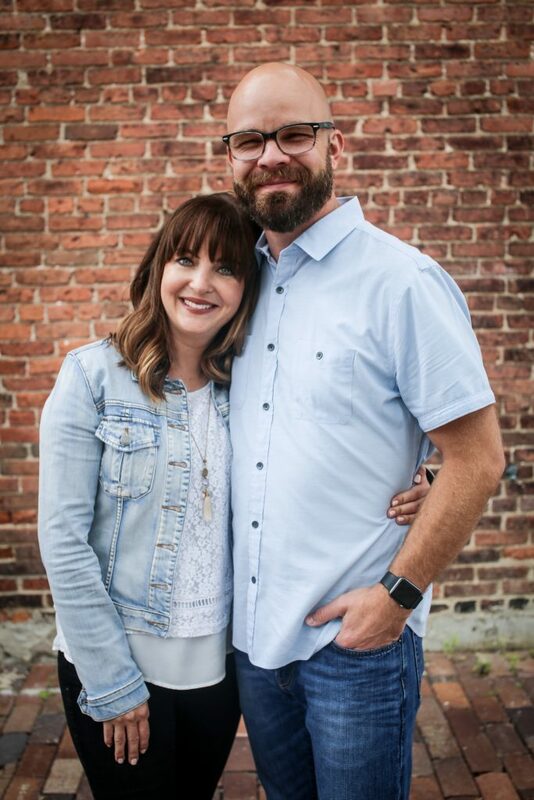 Marriage retreats are one way to intentionally step away from the busyness of day-to-day life and be purposeful about having a just-the-two-of-us shared experience that focuses specifically on the building up of our relationship. But what sets a marriage retreat apart from simply going on a vacation without the kids? That’s where #2 and #3 come in. What surprised me the most and became one of my favorite aspects of the marriage retreat we attended, aside from time away with Ted, was the community. Forty-something couples participated and the marriages were all in different places. Some, like ours, were simply there for “preventive care.” Others were there for a tune-up. And still some came as a last-ditch attempt to save their relationship. But regardless of where we were, what we all had in common was the goal of wanting to better our marriages. As we ate together and worshipped together, we also encouraged each other individually and in our marital relationships. We found that our marriage retreat didn’t simply focus on feeding our marriage, but also each of us individually. And, here’s the thing, the personal spiritual growth we experienced went on to further strengthen our relationship. 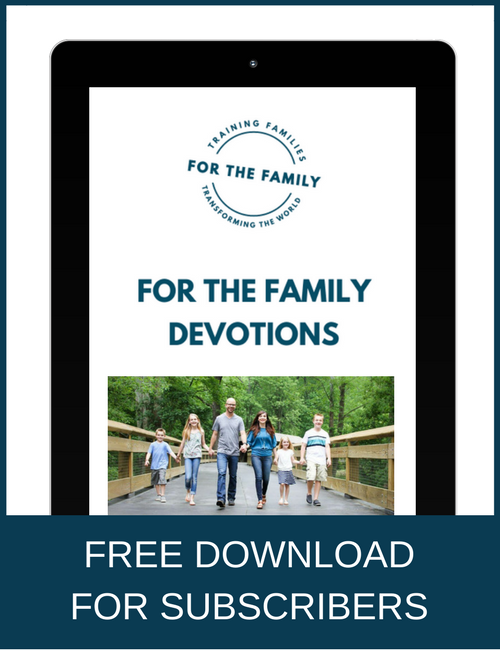 We spent time discussing the sessions we attended, what we felt God was speaking to us through them, and how that impacted not only us individually, but as a couple. 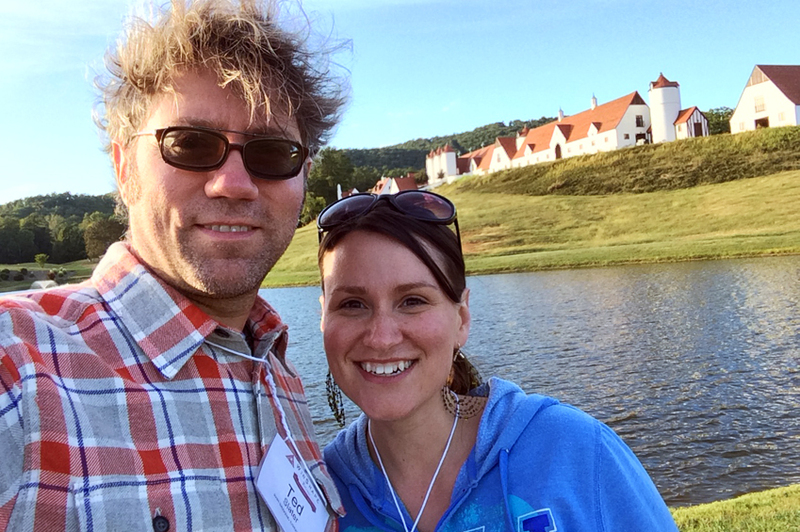 It may have taken us more than a decade to attend our first marriage retreat. But now that we have, we’re hooked. I can say with confidence that we won’t wait 12 years before we attend another one. And I hope that those of you who’ve never attended one will be sure to add it to the top of your bucket list as a couple. I think you’ll be glad you did. We are in desperate need of help. We need a change in our lives. Please! I keep on telling myself there has to be more to life then this. Hi Laura, yes! I will pray for you and Andrew. I’m so sorry you are going through such a hard time right now.